Our offices will be closed from 12.00pm Friday, 21 December 2018 and will reopen on 8.30am Monday, 7 January 2019. 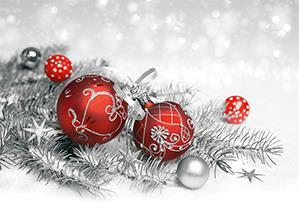 We wish all our members a joyous holiday season and a happy and prosperous New Year. Claims involving expiry of the limitation period and/or commencing proceedings against the incorrect defendant. Claims involving the drafting of binding financial agreements. Wills and Estate claims involving Family Provision Act claims, failure to assess the testamentary capacity of the testator at the time of making the will, delay in acting on the testator’s instructions resulting in the testator dying before signing the will and failing to advise the testator of the effect of s14A of the Wills Act 1970. Claims concerning dismissal of an action by a Court for failing to remove a matter from the Inactive Cases List. Commercial claims involving failure to register an interest under the Personal Property Securities Act 2009. We suggest you treat instructions involving these areas of practice as higher risk and ensure they receive an appropriate degree of focus. Law Mutual (WA) has recently received details regarding a number of cyber fraud professional indemnity claims. In the first incident, the claim arose because a fraudster infected a firm’s computer system with a virus which enabled that fraudster to ‘watch over’ emails sent and received by the firm to and from its clients. As a result the fraudster was able to gain access to the name of the client, intercepted relevant emails between the firm and the client and, armed with the confidential information of the client, generated a fake email allegedly from the client with the fraudster’s bank account details, into which the firm paid settlement funds. In this case if the firm had taken steps to properly verify the client’s bank account details the fraud would have been avoided. In the second incident, money was lost by a vendor client in a conveyancing transaction as a result of a law firm transferring settlement funds into a fraudster’s bank account. The law firm relied upon an email from a fraudster who had taken over the email address of the client and requested settlement funds be paid into an account that belonged to the fraudster and not the client. The law firm did not take reasonable steps to prevent this from occurring. A simple phone call from the law firm to the actual client prior to transferring the funds would have avoided this claim. For new or changed account details, telephone the sender (not on a number in the email chain) to confirm the details. For account details from a sender you have previously dealt with, check that the account details match the account to which previous payments were sent. If not, contact the sender to confirm. This is not an exhaustive list, merely some basic preventative steps. They will not necessarily address every situation. July 2018: Is Email the ‘Weakest Link’? We strongly recommend that practitioners consider the information in the Risk Alerts and ensure they are responding to the risk of fraud via email. Thanks to all who have attended or have registered for the risk management seminars on the Risk Management Programme for 2018/2019. We urge all practitioners to attend the remaining seminars below, if possible. Every practitioner is entitled to two hours of no or low cost seminars. You’re not my client; are you? 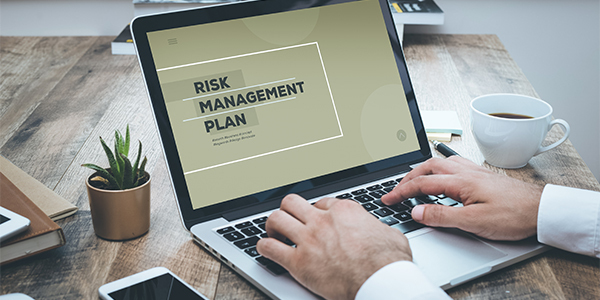 Law Mutual (WA) is in the process of piloting the delivery of the risk management training through the use of webinars and remotely presented seminars. In order to test the viability of these options, Law Mutual (WA) will be facilitating two additional presentations in January 2019. Attendance at the seminars will count towards your risk management training requirements for an annual contribution discount in the 2019/2020 Insurance Year. This seminar will focus on the first two phases of Matter Management – screening and engaging clients. The Guidelines were developed in 2017 and set out the requirements for management of practices and matters with an emphasis on mitigating professional liability risks. This seminar focuses on the risks that arise during screening and engaging clients and how to apply the requirements set out in the Matter Management Guidelines to avoid potential liability claims. It provides participants with practical advice on what controls are most effective to protect their firm, depending on its size and areas of specialty. This seminar is particularly relevant to practice principals but should also be of interest to employed practitioners. Please contact Shumi Tsungu, Administration & Risk Officer on (08) 9324 8624 to register your interest to attend this webinar. Do you know how to handle difficult clients and complaints? Difficult clients and complaints not only cost you time and money, they cause stress and increase the chances of matters becoming claims. Yet many lawyers are missing opportunities to turn these negative client relationships into positive ones. Whether you work in a sole, small or large law practice, “Difficult clients and complaints handling: A practical guide to positive client relationships” seminar provides insights and practical strategies to enable you to better identify and manage difficult client behaviours and defuse complaints constructively. Don’t miss this useful and relevant seminar presented remotely from Sydney by Ronwyn North from Streeton Consulting. Please contact Shumi Tsungu, Administration & Risk Officer on (08) 9324 8624 to register your interest to attend this seminar. You’re Not My Client – Are you? 171 practices received the 5% discount on the Annual Contribution and enjoyed discounts ranging from $275 to many thousands of dollars. All of the Partners or Practitioner Directors and at least 80% of the employed Practitioners of the Practice have attended at least two (2) hours of Law Mutual (WA) approved risk management training during the period 1st March 2018 to 28th February 2019. The Practice declares in its Application for Insurance that it has met the training requirements above and is entitled to the Risk Management Discount. The Practice is able to produce, within 7 days of a written request by Law Mutual (WA), documentary proof that it has met the training requirements, such as certificates of the attendance of Practitioners at approved training. The Practice must agree that if such documentary proof is not produced to the satisfaction of Law Mutual (WA), the Practice will immediately repay to Law Mutual (WA) the equivalent of the Risk Management Discount it received together with the GST payable thereon. Further, the Practice will not again be entitled to a Risk Management Discount until it has completed two consecutive years of training requirements. Law Mutual (WA) is committed to assisting insured firms to manage professional liability risks through practical, tailored and interactive training. We may be able to arrange an in-house workshop for your firm, depending on the number of practitioners in your firm (minimum 15 attendees required), where we focus on risks that are of most concern to your practice. 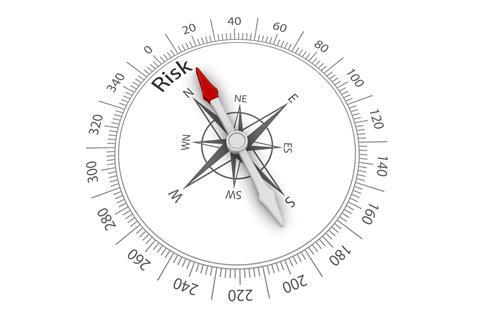 It is important to conduct the in-house seminar early enough in the insurance year, to ensure that there is time for any practitioners that have unfortunately missed the in-house seminar, to fill the risk management training gaps by utilising the remainder of our face-to-face Risk Management seminar programme before the 28 February 2019 deadline, if your practice is intending on applying for the Risk Management Discount. Please contact Vicki Coles, Manager Risk on (08)9324 8653 for further information. Shumi commenced her professional career in Zimbabwe, before moving to Australia in 2005. In Australia, she has predominantly worked in community services and legal services, and joined Law Mutual (WA) in July 2018 following a number of years at the State Solicitor’s Office, as a Paralegal. Shumi holds a Diploma of Business Administration and Bachelor of Commerce (Business Law) motivated by an interest in compliance. Outside work, Shumi enjoys vegie gardening at Rockingham Community Garden. She is involved in community projects that celebrate and inspire Africans living in Australia to pursue their dreams and aspirations whilst positively integrating into the Australian society. Shumi spends quiet time with her husband and two boys relaxing at home. Disclaimer: This email is an information service of the Law Society of Western Australia. The information provided does not constitute legal advice and recipients should consult the Government Gazette, relevant statutes and other source documents as appropriate. Reasonable steps have been taken to protect our mail servers and web pages via the use of anti-virus software but recipients are advised to take all necessary steps to ensure that their own systems are virus protected. The Law Society of Western Australia does not accept responsibility for any loss or damage sustained as a consequence of any virus transmission. Copyright © 2018 The Law Society of Western Australia. All Rights Reserved. Clicking below will unsubscribe you from the Law Mutual (WA) News mailing list.